Sony could use The Last of Us on shelves this fall. If the ratings for The Walking Dead’s season premiere are anything to go by, the hunger for desperate, post-zombie apocalypse survival stories has not been sated. Sony would make a killing if it had a property in that milieu made by the superstars behind the multi-million selling Uncharted series. Naughty Dog isn’t even close to done working on its critical darling though, since it’s still hiring staff to work on the game. What’s more, the studio seems to be working on content that hasn’t even been shown yet. New job listings for the company suggest that The Last of Us will have co-operative play. The listing calls for a co-operative game designer. The number one requirement is that the candidate have experience designing both co-operative and single player levels for console games, a “strong understanding of co-op gameplay mechanics” as well as “level design and encounter design.” A “strong passion to innovate in the area of co-op design” is also a must. Those sound like fairly standard requirements for any designer working on Naughty Dog’s games, though. It could describe the co-operative modes in the Uncharted series as well as it could The Last of Us. There are two other facets of the listing that more heavily suggest that Naughty Dog is considering adding co-operative play to its survival drama. The ideal candidate will have experience in co-op AI and encounter design, “designing and scripting co-op combat encounters, AI behavior design, and difficulty balancing.” Co-op system design, “creating mechanics, game modes, progression systems, reward structures, social features, etc. to serve the co-op experience,” is another aspect of the job. With The Last of Us’ heavy emphasis on dynamic AI—something notably lacking in the Uncharted series—and social features, which tie heavily into the sense of camaraderie and togetherness that binds Last of Us’ leads, suggest that game. 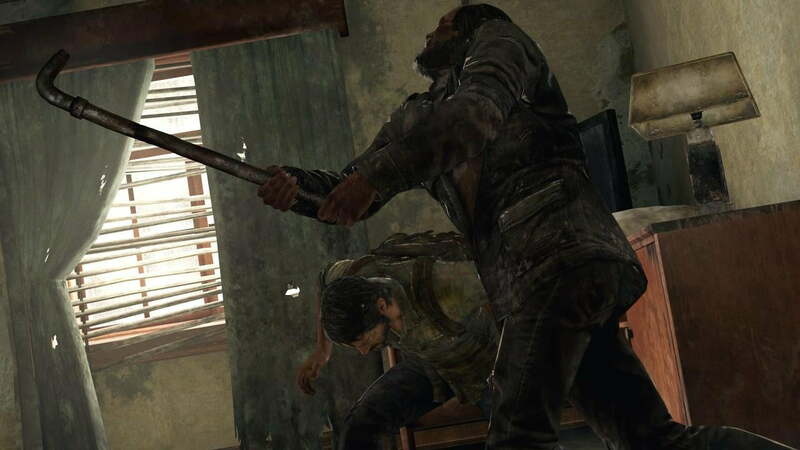 Naughty Dog has been planning to include multiplayer in The Last of Us for some time. “We are supporting multiplayer with The Last of Us,” said creative director Neil Druckmann in June, “We’re not ready to talk about the details of how multiplayer will be implemented, however we can say that it is not co-op within the main campaign.” Based on that statement and the job listing, it sounds as though Naughty Dog is looking to build separate co-operative modes that still manage to foster the same dynamic, in terms of play and narrative, environment as Last of Us’ core campaign.